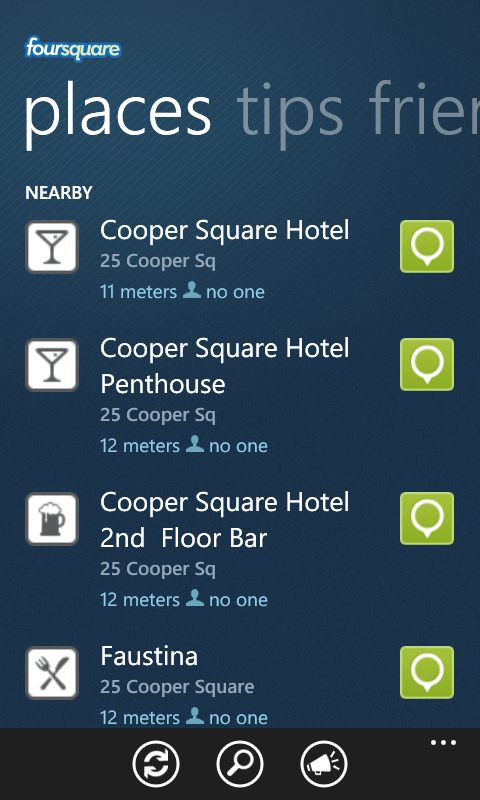 The official Foursquare app has been on the Marketplace before but after experiencing some issues was pulled. 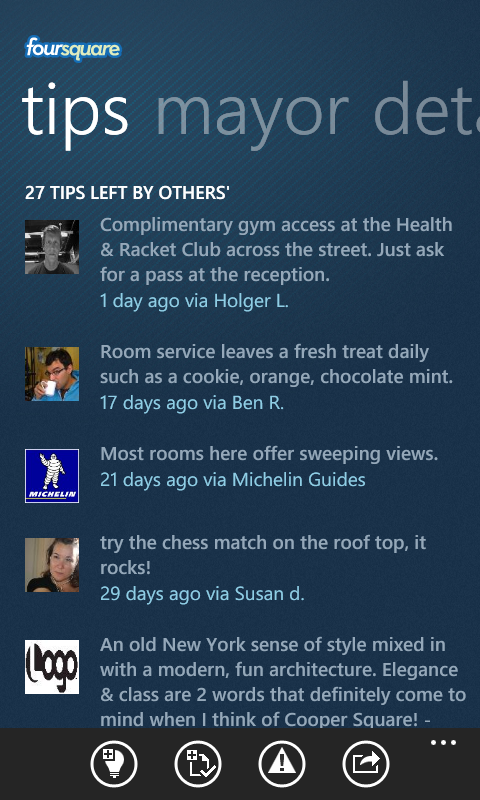 Sporting a new Metro UI inspired design Foursquare is now back on the Marketplace. 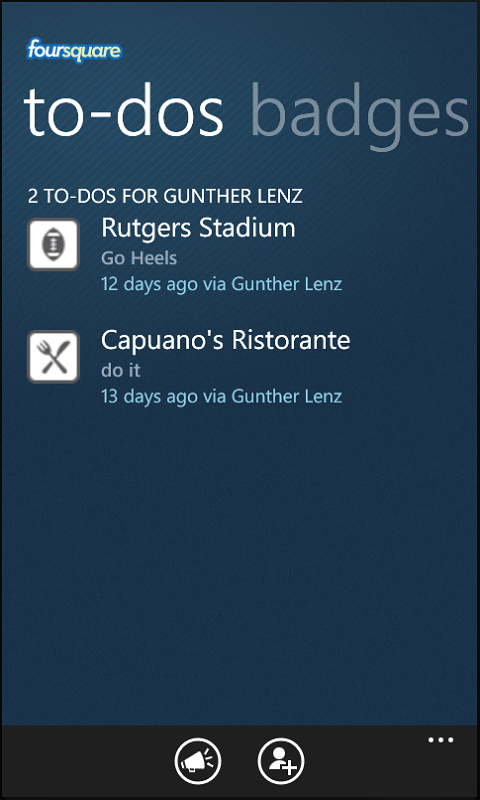 The Foursquare developers worked in conjunction with Microsoft to build the more “slick” revamped application. 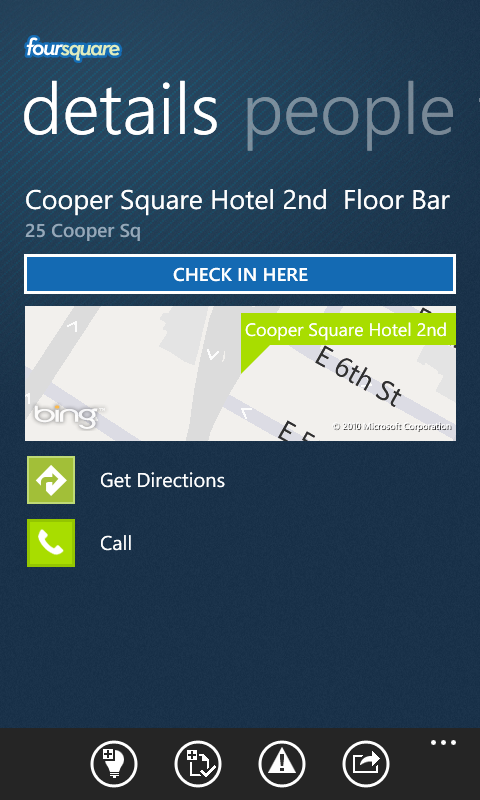 Foursquare, on Windows Phone 7, helps you find new ways to explore your city. 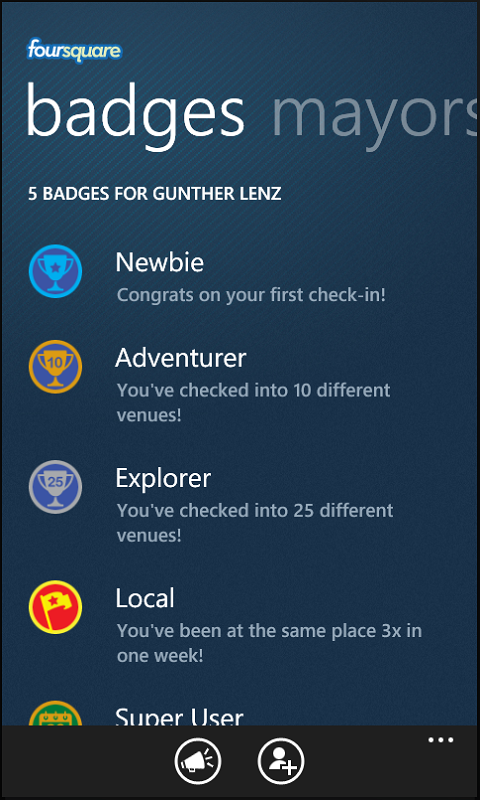 while collecting points and virtual badges. Written by: WP7GIRL on July 1, 2011.